A gathering of female filmmakers and all those interested in hearing from and about female filmmakers and furthering their voice in the industry. 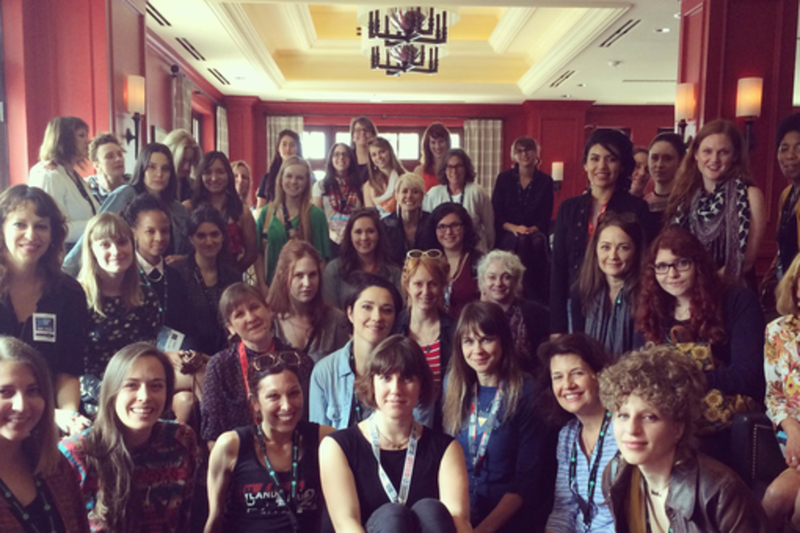 All members of Film Fatales with films programmed at SXSW will be present, along with SXSW alum and Film Fatales founder Leah Meyerhoff, and Austin Chapter Leader Lauren Kinsler, to talk about what Film Fatales is, why its important, and how female directors can start a chapter in their own city. Lauren grew up in Tampa, Florida and was raised by her poet father and speech pathologist mother. She made her first movie when she was 15 about a girl who falls in love with a computer. She has a background in disability studies, classical piano and art. Her shorts have played SXSW, Sarasota Film Festival, CinemaEast, Hot Springs Doc Fest, Florida Film Festival, Rhode Island Film Festival and more. She was the recipient of an Austin Film Society Grant in 2013 for her short King Bling. She is finishing up her most recent short, a sci-fi office comedy about sign language interpreters, and is currently in pre-production on her first feature film by the same name, U R A DIAL TONE. Lauren earned an MFA in film production from UT Austin in 2014. She loves eggs, her dachshund Gus, and Kaurismaki films on a rainy day.